One of the most powerful iconic food moments in literature is in C.S. 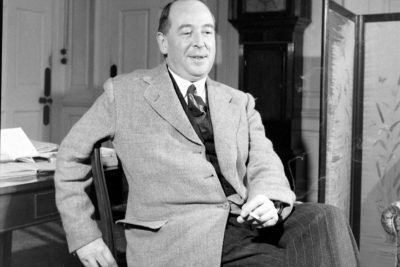 Lewis's children's book The Lion, the Witch and the Wardrobe. It is the moment in which Edward betrays his family, even his own soul, in return for the addictive Turkish delight offered him by the White Witch. I read this when I was seven, and have never forgotten it. They say the strongest memories are attached to the greatest emotion, and this was my first taste of betrayal. I’m a big fan of Pamela Hart’s vivid and intelligent historical romances. They give me everything I want in a book – drama, heartache, struggle, triumph, and an enthralling glimpse into the past that teaches me something I did not know. The Desert Nurse is set mainly in Egypt during the World War 1, and tells the story of a young woman named Evelyn Northey who is determined to become a doctor, despite all the obstacles in her way. 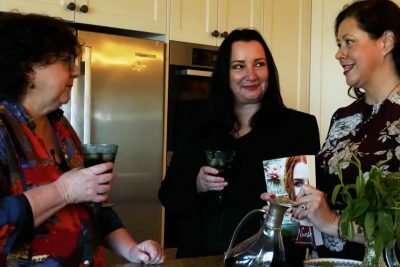 Word of Mouth TV has three more great Australian novels to recommend this month, and three new cookbooks. 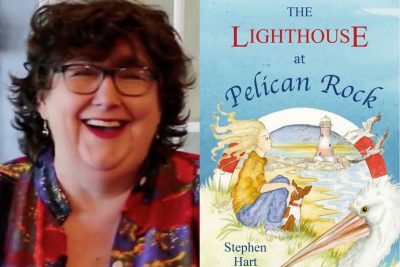 Pamela Hart kicks off with The Lighthouse at Pelican Rock, a book written by none other than her husband Stephen Hart - his debut novel. But Pamela swears she is not recommending it just because Stephen wrote it. She edited the book as well, so it is, indeed, etched into her heart, excuse the pun. "Everytime I read it, I forgot to edit it," she says. "It just sucked me in all over again." ANZAC Day is nearly upon us and we couldn't resist just popping up a quick ANZAC biscuit recipe. 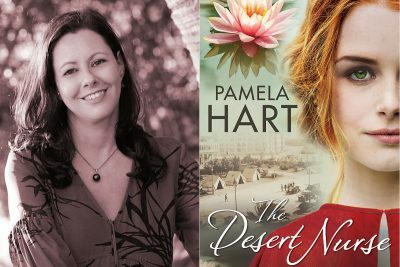 The idea of lounging around with a cup of tea, reading Pamela Hart's The Desert Nurse and nibbling on freshly baked ANZAC cookies was impossible to resist. My paternal grandmother was a magnificent cook and worked in Brisbane's iconic Breakfast Creek Hotel back in its hey day. 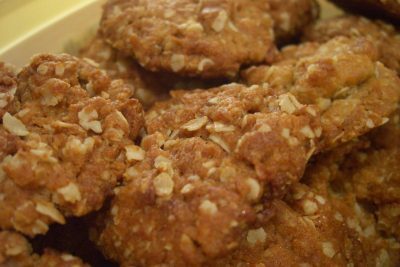 She would bake ANZAC cookies all year around and they were a family favourite. So I did a bit of research on the birth of the ANZAC cookie and it appears those upstart Kiwis are trying to claim it as their own. Pamela Hart says the most difficult part of writing the The Desert Nurse was recording the endless stream of casualties from Gallipoli in a manner that wouldn't overwhelm the reader. Pamela is a research-heavy author and food also plays a key role in her novels. The Country Women's Association cookbooks are her go-to references for the food of the times. She also has a soft spot for Margaret Fulton and the chip butty. To celebrate Pamela Hart's fabulous war-time setting in North Africa, we settled upon this absolutely delicious roast lamb in pomegranate molasses with flatbread. 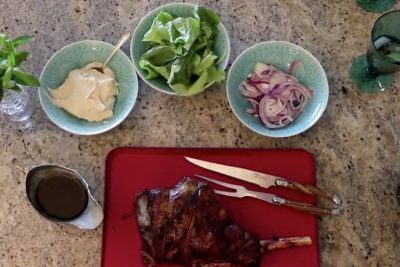 Lamb is, of course, typical Mediterranean fare in both Europe and Africa, which made it the perfect meal over which to discuss The Desert Nurse. This dish was surprisingly simple and really packed some bang for buck. It's great for crowds and family weekends and would be perfect fare for an ANZAC weekend. Thanks to Hachette and authors Kate Forsyth and S.L. Mills, Word of Mouth TV has this beautiful Pamela Hart book pack to giveaway. And the timing is perfect. ANZAC day is just two weeks away, and of course, Pamela's novel The Desert Nurse is set in Egypt during the Gallipoli campaign. It will be the perfect read to evoke the life and times of the period and to commemorate one of Australia's most widely celebrated holidays. With ANZAC Day just weeks away, this episode is an evocative reminder of the life and times of World War 1. Sydney was just a big country town, and when the news from Gallipoli returned, nearly everyone had lost someone dear. The people rallied on the streets in massive crowds to commemorate their loss, a scene repeated around Australia. The fledgling nation was united through its grief. 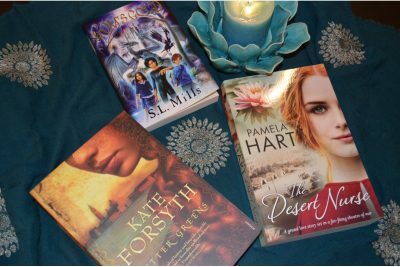 The Desert Nurse is an adventurous romance that spans the globe and is the perfect accompaniment to ANZAC Day. Enjoy!